For NAIDOC Week (3-10 July), a sensitive introduction (by a whitefeller) to songlines, a central part of Indigenous Australian culture. Daley quotes Nganyinytja, a Pitjantjatjara woman, from an essay by Diane James. We have no books, our history was not written by people with pen and paper. It is in the land, the footprints of our Creation Ancestors are on the rocks. The hills and creek beds they created as they dwelled in this land surround us. We learned from our grandmothers and grandfathers as they showed us these sacred sites, told us the stories, sang and danced with us the Tjukurpa (the Dreaming Law). We remember it all; in our minds, our bodies and feet as we dance the stories. We continually recreate the Tjukurpa. 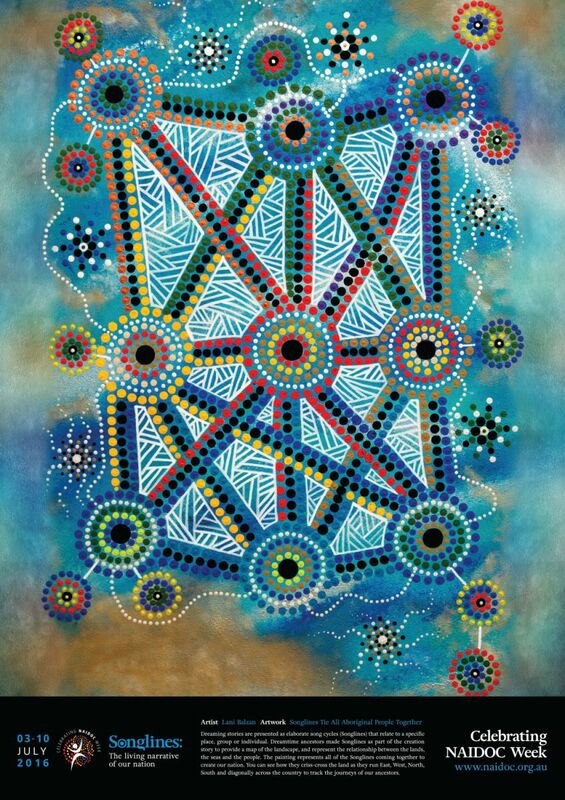 Daley’s article has links to other material on songlines and to the NAIDOC webpage – songlines is the theme of NAIDOC Week this year. Another resource is Bill Gammage’s book, The Biggest Estate on Earth, which has a lot of material on songlines. But why ‘songlines’? At the most basic conceptual level [Daley wrote in an earlier article], perhaps think of the songlines as the oral archives of Indigenous history that chart the very creation of the land and sea by the Dreaming totems (animals), and the various marks – trees, waterholes, rocky outcrops and creatures – along them. The songlines also hold the stories of the people and the eternal spirits who inhabit them. Because melodic variance is used to describe the land, the songlines – which also manifest in artworks, dance, the yirdaki and clapsticks – transcend language. The songlines or tracks transcend the language groups. If you know the song, you can navigate. Honest History’s collection of material on First Peoples dates from NAIDOC Week in 2014. Paul Daley is one of Honest History’s distinguished supporters.